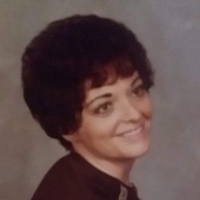 Obituary for Bertie (Crouch) Hood | Powell Funeral Home, Inc.
Bertie Crouch Hood, of Cherokee Village, Arkansas, formerly of Salt Lick, Kentucky and Glasgow, Kentucky, passed away Monday February 4, 2019 at her home at the age of 76 years, 5 months and 6 days. She was born August 28, 1942 at Salt Lick, Kentucky, the daughter of Thompson and Ida Mae Patton Crouch. She was a Kentucky Colonel and a retired machine operator with R.R. Donnelley Printing of Glasgow, Kentucky. She leaves behind to cherish her memory; 2 daughters, Lisa Perry (Robert Clark) of Jonesboro, Arkansas and Lecinda “Cindy” Thomas (Jeremy) of Bowling Green, Kentucky, 2 brothers. Thomas Ray Crouch and Heartsell Crouch, 7 grandchildren, Amy Francis, Richard Schmitt, Matthew Clark, Chris Clark, Dalton Thomas, Kainin Thomas and Kya Thomas, 3 great-grandchildren, Stockton Crowe, Iris Crowe and Noah Jacobs and special friend, Bert T. Johnson. In addition to her parents, she was preceded in death by a daughter, Ida Marie Perry, 4 sisters, Helen Crouch, Elizabeth Ferrell, Irene Mosteller and Opal Saunders, her twin brother, Berthal Crouch and brothers Lyle, Stanley, Cecil, Charles, William, Donald and Hobert Crouch. Funeral services will be Saturday February 9, 2019 at 12:00 PM at Powell Funeral Home with Jeff Lile officiating. Interment will follow in Upper Salt Lick Cemetery. Visitation will be Friday February 8, 2019 from 6:00 PM – 8:00 PM at the funeral home.